File image of Google Glass. 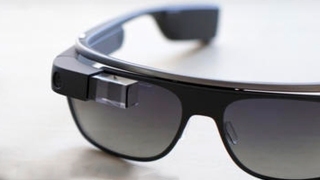 Google Glass is being used as a tool for autism research at Stanford University. According to TechCrunch, the second phase of the Autism Glass Project launched at Stanford this week. The study looks at Google Glass' efficacy in helping autistic children recognize outward emotions in others when used with special facial expression recognition software both during and after time periods of wearing the glasses. "Google Glass represents the type of wearable computing platform that can deliver real-time technological solutions to ease social inclusion of individuals on the spectrum," Autism Speaks Senior VP of Scientific Affairs Andy Shih told NBC Bay Area. Researchers are currently seeking participants aged 6-16 to consider signing up for the second phase of the research, which will study the behavioral patterns of 80 children with autism and 20 who are typically developing when they use the device at home and in onsite lab visits.